Happy St. Patty’s Day! 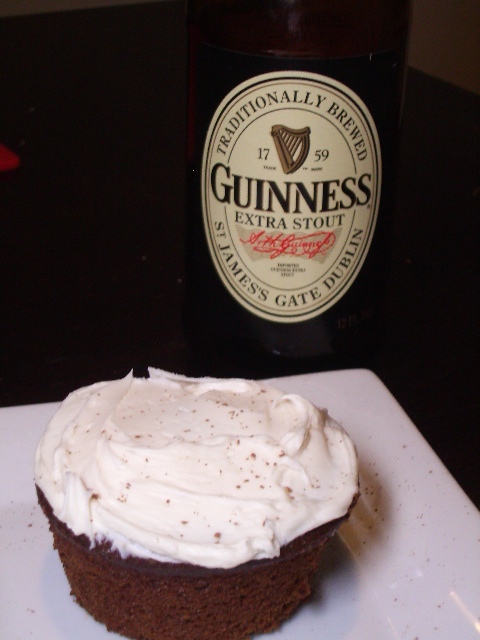 These cupcakes are perfect for today, but would also be good for any time you have an extra Guinness in the fridge. 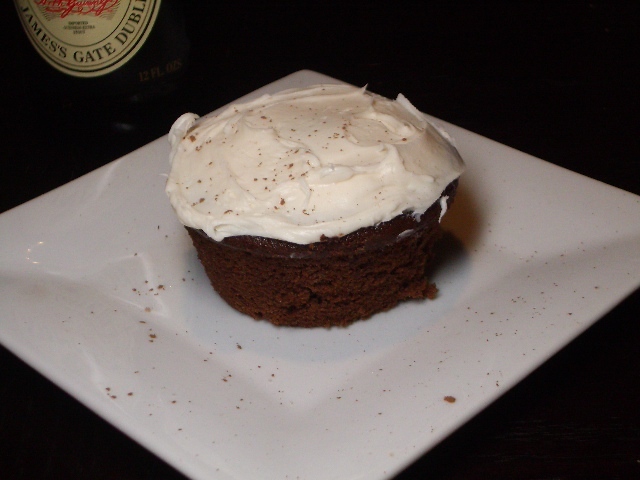 For the icing: In a medium bowl with a hand mixer, beat the cream cheese on medium speed until light and fluffy. Gradually beat in the heavy cream. On low speed, slowly mix in the confectioners’ sugar until incorporated and smooth. Cover with plastic wrap and refrigerate until ready to use. 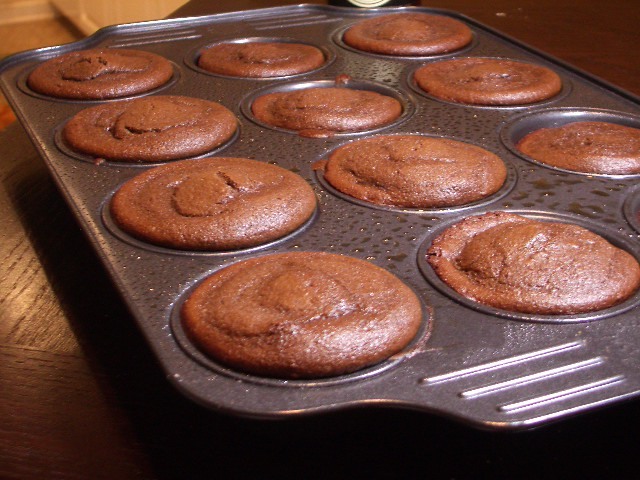 Icing can be made several hours ahead and kept covered and chilled.